Happy Sunday afternoon to you. 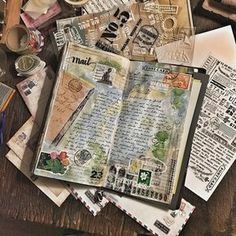 Ü Your altered books and journals are sensational! Luv the "pouting" face on the first two images and the key and button accents. These are wonderful,Nancy….and what a great expression on the face of the top 2 girls [or is it the same girl??]. I must think about making altered notebooks as presents. What sweet little pages you have created – love these, Nancy! All are such cuties! Love them, much more "dainty" than my steampunk boy I played with today on a little altered book. WOW – we both have had such fun this weekend. These are beautiful..Love the pouting face on the little girl..I love how you bring these images to life. These are just gorgeous, Nancy! Love your style, my friend! Love what you are doing with the Vintage books. Hope you are feeling better, too! I just love these journals, Nancy! They are fantastic! I want one of those Bind It All things! Dang it all! LOL! Come enter my giveaway! I hope you are feeling better. these are just so beautiful!!! Wonderful books Nancy ! beautiful colors and design as usual ! have a great day ! these are all gorgeous nancy!! So beautiful and different, love their colours! 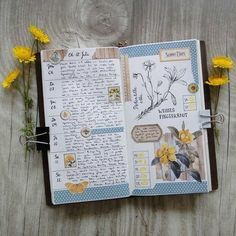 so wonderfull, what you can make with the binder- I would love one myself—and all 4 pieces are so sweet and lovely- your style is alwayes so very beautifull! Nancy I hope all is well? and wishes you a lovely evening. Nancy, what can I say again but WOW!!! Your pieces are always sooo beautiful and these are just wonderful eye candy:-) BRAVO my friend! These are just so gorgeous ! Love this series! Beautiful! 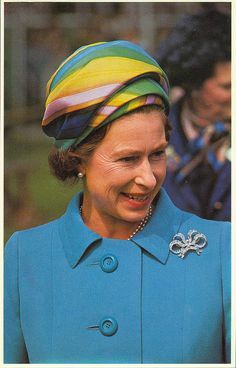 Loving the pop of the butterflies and how it ties in to all the great ephemera! i love these, and what a wonderful pout that little gal has going on! there's some serious attitude! now i'm intrigued by the "bind it all" – i haven't seen that tool yet…. These are Gorgeous Nancy! I just LOVE your Work! You have such a Elegant Vintage Look! My Wish for you is that Spring is Just Around the Corner! Its time isn't it! Have a Wonderful Monday almost Tuesday! Oh Nancy! These are so beautiful. All of your touches and details just make your gorgeous art so special! These turned out really nice Nancy! Oh, these are all so very beautiful, Nancy! Your art is lovely and rich. Thank you so much for the inspiration and the nice words on my blog. Lovely Nancy…I love it! I use the BIA too and love it. I was excited today, as the Vagabond arrived in the UK, so I ordered it from QVC UK, and it will arrive in Ireland in a few days. Oh Nancy your work is the best. So wonderful new pieces with PW. I love them all. Brilliant. Love the ones you created with the 7 Gypsies book covers. I need to drag my BIA out and have some fun with it. It's been too long! Nancy, more adorables from you. I hoarde journals so these completely appeal to me. All are absolutely lovely, but I am smitten with #48! How precious, each and every piece! Love those butterfles and the keys, and the buttons, the old book covers, I guess I just LOVE it all!! Gorgeous pieces once again Nancy! LOVE that rusty key! !